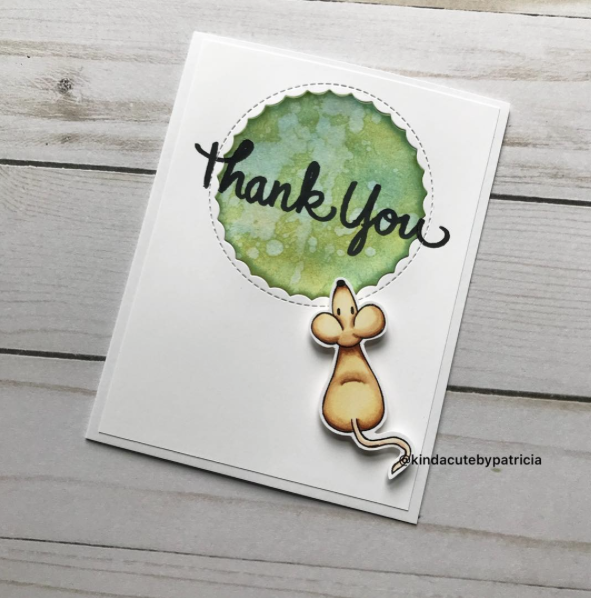 today I bring you a card I made using one of the mouse from my mice digital stamp set. I cut the panel with a die cut and then I added some distress inks and water and glued it back. Once everything was in place, I added the sentiment. It is a clear stamp from Stampendous. I hope you liked the card! Have a great day!! This is wonderful! I love the design, so clean & simple and perfect! super sweet CAS card, luv this! I am so glad you played along with us at simon says stamp wednesday challenge! Sweet card! Thank you for sharing your card with ATSM!